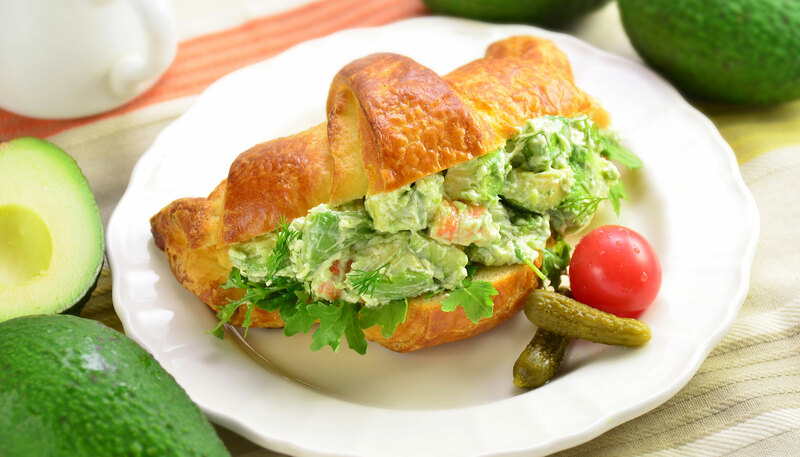 Creamy avocado shrimp salad is the perfect filling for buttery and flaky croissants. 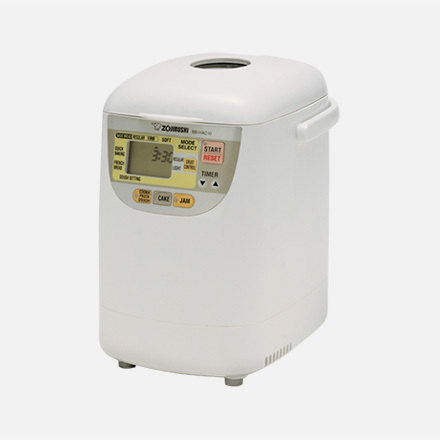 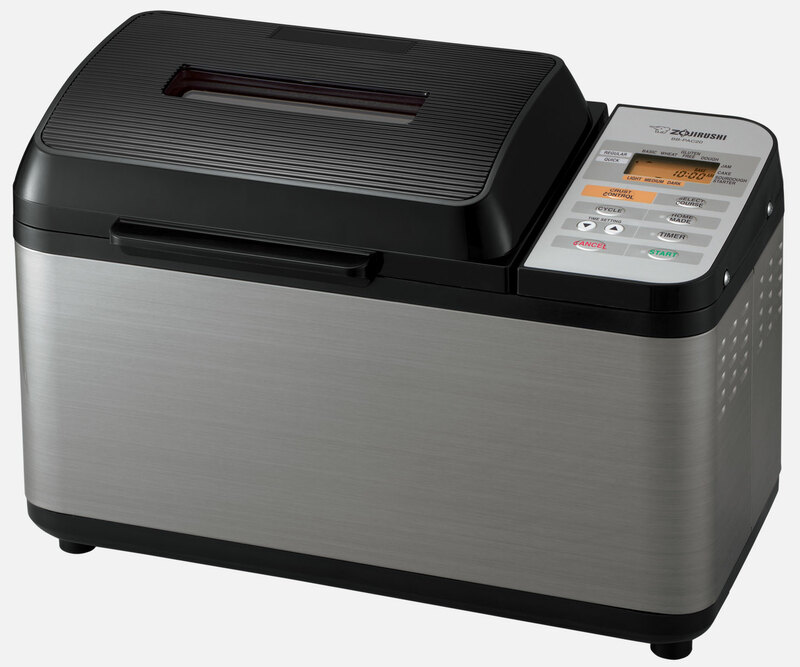 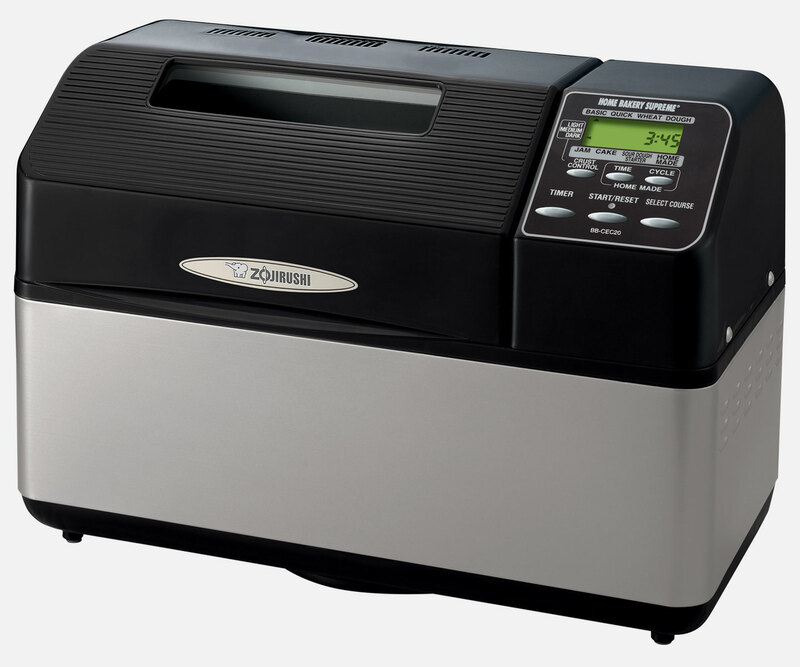 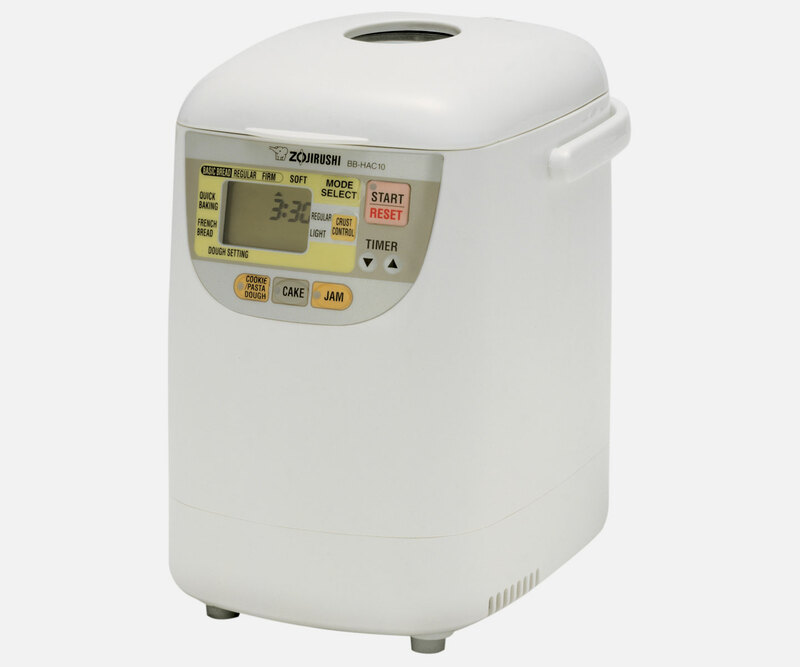 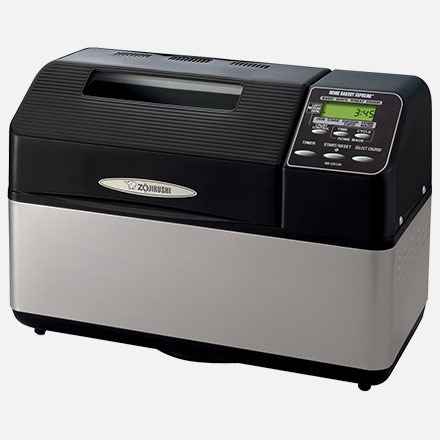 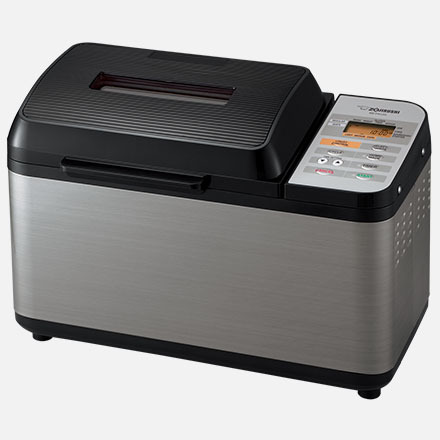 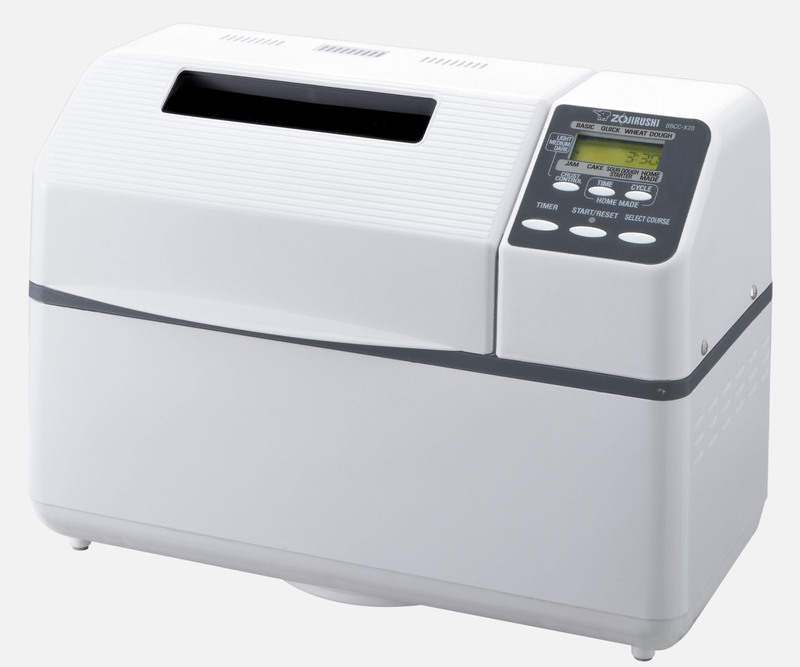 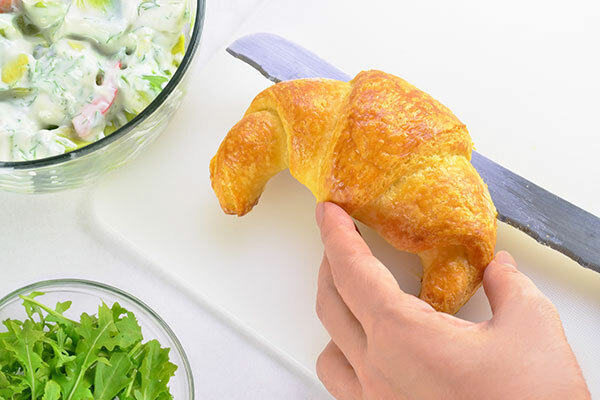 Use your own croissants made with your Zojirushi breadmaker to make this sandwich extra special. 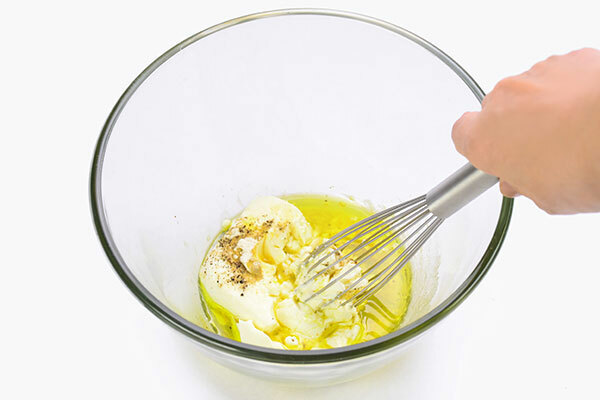 In a bowl, place cream cheese, lemon juice, onion powder, salt, black pepper, olive oil and mix well. 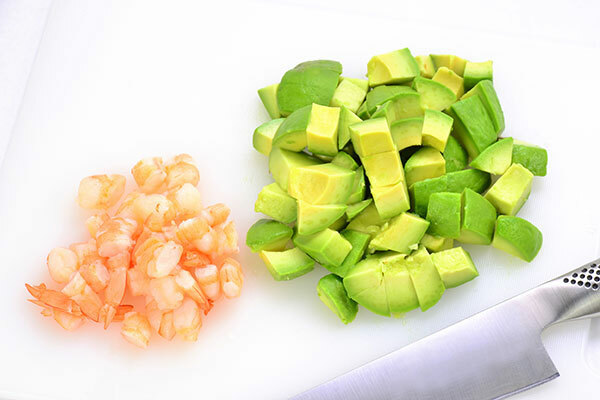 Chop shrimp and avocado into bite-sized pieces. 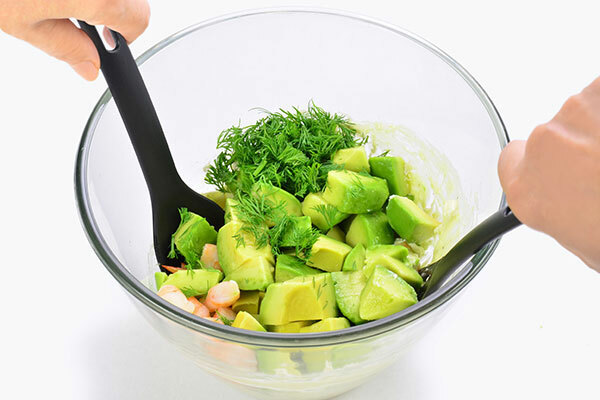 Add shrimp, avocado and dill in the bowl and toss lightly. 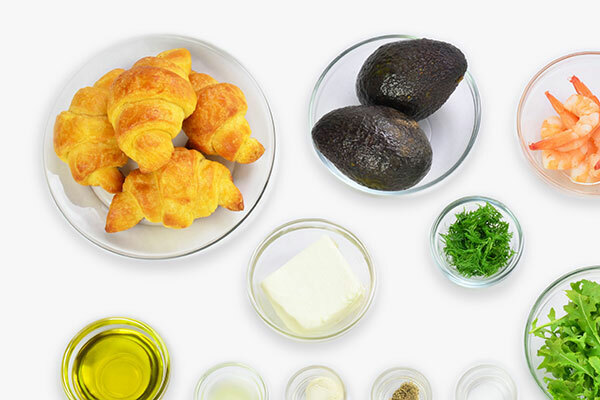 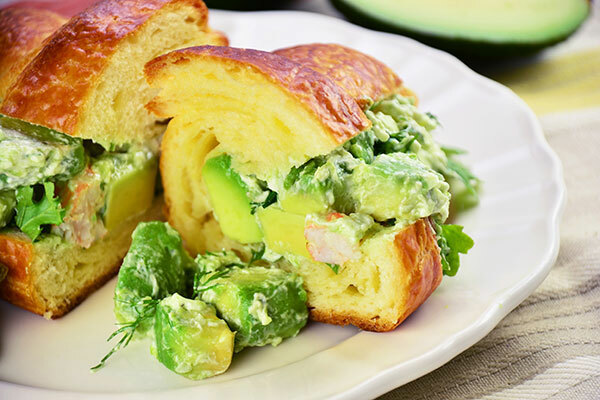 Slice open one side of croissants and assemble sandwiches with avocado mixture and arugula.